How Do Environmental Toxins Affect Your Testosterone Production? Testosterone is considered to be the male hormone but it is actually important for women’s health as well. It is produced in your testes and is directly responsible for your libido and reproductive processes. However, testosterone is also an important hormone for muscle repair and growth as well as bone density and even improving your red blood cell count. Low levels of this hormone will contribute towards a range of physical and mental illnesses including depression and increased fat storage. 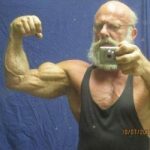 As you age your testosterone levels will naturally fall. Research shows that this is due to an increase in the amount of 5-alpha reductase. This enzyme is responsible for changing your testosterone into DHT; the greater the amount of the enzyme in your body the lower your levels of testosterone will be. Low levels of testosterone are also associated with hair loss, prostate enlargement, and even cancer. 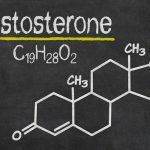 It is possible to combat this but before you do it is worth understanding how the environment can adversely affect your testosterone levels. The simple fact is that there are more chemicals in the atmosphere than there were in the past. 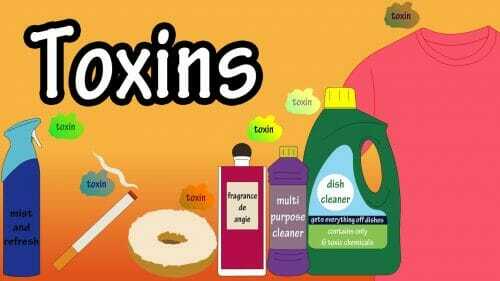 Many of these chemicals will have a negative impact on the human body and not all the effects are known. Toxins in the atmosphere are being held responsible for the decline rates of testosterone. This can be measured through sperm counts and average testosterone levels. For instance, the average sperm count in 1940 was 113 million per milliliter. In 1990 it was 60 million per milliliter! This has been confirmed by the fact that the norm for testosterone levels is now lower than it was 50 years ago. The norm was changed to match today’s levels not because it was previously too high. As if it wasn’t bad enough that toxins in the atmosphere are lowering your testosterone levels there is evidence to suggest that specific chemicals actually possess gender-bending abilities. In short, men are becoming more feminine. EDC’s are any chemical which will affect your endocrine system. This system is present in everyone and is all the glands in your body. Together they control hormone levels, metabolism and even growth. Anything which has an adverse effect on this system will be an issue for your health both in the short and long term. It is believed that exposure to EDC’s can hasten sexual development in young boys. It has been shown that puberty can start as much as 2 years earlier than the accepted norm. In fact, it is becoming common to see boys entering puberty at age 9! When children become exposed to adult male hormones too early in life they are likely to have an increased risk of several types of cancer, potential low self-esteem and a variety of disorders including alcoholism and depression. EDC’s are also responsible for birth defects in boys which increases the likelihood of poor testosterone production and low sperm counts. Of course, low testosterone production equates to higher levels of estrogen. In fact in the article “Males of All Species are Becoming More Female“, Dr. Mercola describes how the release of unregulated chemicals into our environment are causing both male animals and humans to take on more feminine characteristics. The second type of gender-bending chemicals to be wary of is the phthalates. These are commonly found in plastic products and will reduce your reproductive abilities via a reduction in your male hormone levels. This is achieved because of the way that phthalates react with your body. They will reduce the effectiveness of your hormones which create testosterone. In effect diminishing your capability to produce testosterone! Pregnant women who have been exposed to these chemicals will give birth to male children with feminine characteristics. The concern with this toxin is that it is in virtual every product you will come across. Air fresheners, paints and even children’s toys contain these toxins. The phthalates in these products will hold smells and lower your testosterone at the same time. This is also known as BPA. The official response is that, like many toxins, it is only harmful if consumed in excess. 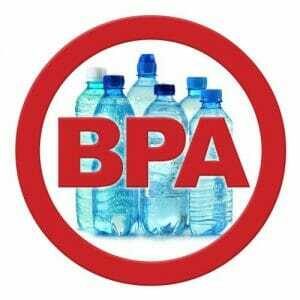 However, it is best to view BPA as a hormone instead of a toxin. It mimics the behavior of estrogen; the female hormone. In fact, that was its first use. It was only later that it developed into a shatterproof plastic. Studies show that even the replacement plastics to BPA ones have estrogen increasing abilities. 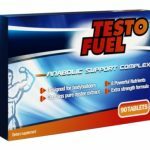 In fact, they can also increase insulin resistance and prevent magnesium and zinc from working properly in your body; the key ingredients to testosterone production. BPA is quite a controversial topic at the moment with experts having opposing views on how harmful it actually is. You can learn more in the article “What is BPA and Why is it Bad for You?”; here the author talks about the variety of potential health risks this chemical can cause you. Insecticides and fungicides as demonstrated in male mice studies. PFOA: the ingredient in grease resistant coatings and a known carcinogen. NPE which will mimic the behavior of estrogen and disrupt your endocrine system. Bovine growth hormone: a common ingredient in dairy products. Cancer-causing chemicals found in aluminum, copper, tin and even lead. In a perfect world, you would be able to avoid using all these products. However, this is extremely difficult in the modern world with its reliance on the latest technology. Replace all Teflon cooking products with standard items that do not have a non-stick coating. EDC’s will leach from the non-stick surface when you are cooking. Canned goods usually have a coating of BPA to preserve them; stop eating all canned food. Look for natural cleaners instead of chemically supplemented ones. Remove processed foods from your diet as much as possible and replace them with fresh, preferably organic ones. Take saunas regularly; this will help your body to sweat out the toxins removing them from your system before they can do too much damage. As well as avoiding these items which contain the harmful toxins you can reduce the risks and improve your testosterone levels by taking a variety of supplements. Zinc – Zinc has been shown to be an important part of testosterone production in your body. Supplementing your diet with zinc will boost testosterone levels and reverse the effects of any environmental toxins. 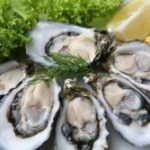 Oysters, meat and fish are all good sources of zinc as well as taking it in tablet form. Vitamin D – Vitamin D is generally available through sunlight. However, if there is insufficient sun or you are worried about the risk of skin cancer you can take a supplement. This vitamin promotes testosterone production and improves sperm count and quality. Vitamin C – By increasing your levels of glutathione vitamin C can help to provide protection against phthalates. Glycine – This supplement binds with an array of toxins to make them easier to remove from the body; through your natural processes. Glutamine – This supplement is essential to prevent leaky gut and strengthen your intestines; thereby reducing the ability of toxins to get into your body. Taurine – Taurine is an amino acid which is known for its calming effects. However, it can also help to detox your body and is an excellent addition to your post-workout routine. As well as avoiding toxins and adding supplements to your diet you will find that the following methods can help to increase your testosterone levels and reverse the damage done by environmental toxins. 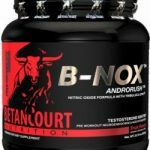 If you want a more detailed look at improving your T levels then check out this informative article “15 Proven Ways to Increase Your Testosterone Naturally”; all of these effective habits are worth incorporating into your daily diet and routine. High-intensity exercises which last less than 30 minutes but work your muscles hard with very short rest periods are known to boost testosterone production and strengthen your muscles. If you also complete strength training with a focus on maximum weight over a number of reps you will experience an increase in testosterone. It is interesting to note that intermittent fasting in conjunction with exercise can help to boost testosterone. Every time you are stressed your body releases the hormone cortisol. This reduces your body’s ability to produce testosterone as it is focusing on being ready to fight or flight. Removing stress and learning to deal with stressful situations calmly will help to increase your testosterone production. Testosterone boosters provide all the ingredients your body needs to naturally boost testosterone production. There are many different products on the market and it is important to research them thoroughly before you choose the right one. Your diet can play a big part in your testosterone production. You need to avoid processed foods, refined sugars and focus on natural products. This will help to ensure your body is functioning correctly and testosterone production is maximized. Finally, it is worth mentioning that hormone replacement therapy is an option. However, this should generally be seen as a last resort. Natural ways of improving your testosterone are better and do not have the side effects that are associated with HRT. There is no doubt that research shows a link between environmental toxins and the reduction of testosterone in adult males. This is an ongoing problem which can only be resolved by voting with your wallet. If you and others like you avoid purchasing these products they will eventually have to change the way they manufacture them. While you wait for this to happen you can minimize the effects of EDCs on your body by following the guidelines in this article. You will feel fitter and healthier in no time; as well as having much higher levels of testosterone than you would have done otherwise.